Cuddy and Keelor were friends in high school. After completing the college, they decided to form a band. They, along with a drummer and bassist, formed a band called ‘Hi-Fi’. The luck was not on their side back then and they couldn’t gather much praise and approval. They moved to New York City to help their musical career. As if NYC was Nature’s call for them that they meet Bob Wiseman there. Wiseman entered into the band as a keyboard player and also inducted his friend Cleave Anderson as a drummer. Finally, the band was set to release its first album, Outskirts, under the name Blue Rodeo. Cuddy and Keelor regularly contributes in songwriting. Cuddy and Keelor have also released their solo albums as well. They also write songs for their solos too. They both are cautious while writing a song for their solo and for the band. They believe that song in context with the band has to do justice with the band theme. They are intelligent in writing songs and this is what has made their songwriting phenomenal. The songs written resonate with the current state of the songwriters and the surroundings too. The songs for the latest album, In Our Nature, were written at Keelor’s house. The songs describe the warmth, serenity, and tranquility of the place. There lyrics also have a philosophical depth in them. Cuddy and Keelor bring their philosophy of life into their songs. Cuddy believes that, even though he is not a fan of writing gloomy stuffs, there are certain dark aspects of the life or human personality which needed to be looked at. So, that’s what they convey through their songs. The current band members of Blue Rodeo are Jim Cuddy, Greg Keelor, Bazil Donvan, Glenn Milchem, Bob Egab, Mike Boguski, and Colin Cripps. Greg Keelor retired from his duty of being a guitarist after having a hearing impairment. However, the spirits of Blue Rodeo are unprecedented. Blue Rodeo is making music and rocking the world. In 2009, a star was named after the band in Canada’s Walk o Fame. The promising band has also entered into Canada’s Music Hall of Fame. The recipient of 11 JUNO Awards, Blue Rodeo well deserved this induction. In May of 2014, the band received a Governor General’s Performing Arts Award (GGPAA) for Lifetime Artistic Achievement, Canada’s highest honor in the performing arts. 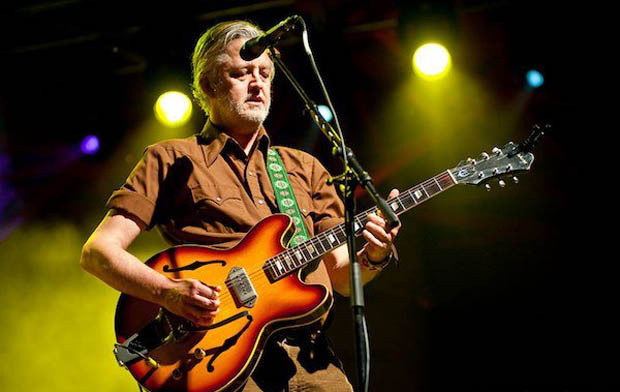 With unprecedented record of awards and music albums, Blue Rodeo has shown to the world that they are unmatchable. Blue Rodeo is not retiring from music anytime soon and the world is hopeful of listening to more of soothing songs from this prominent band.